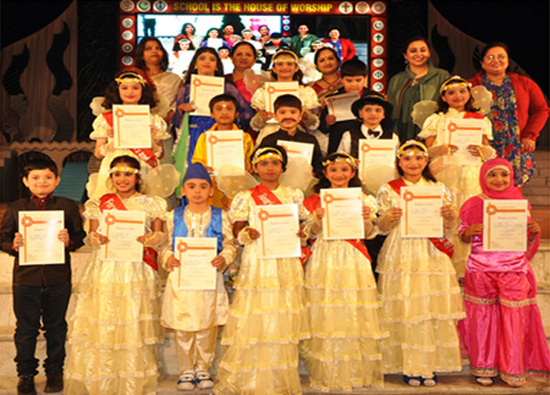 The Vibrant students of our schools took part in “ Human Tableau” Competition organized by Asharfabad branch. 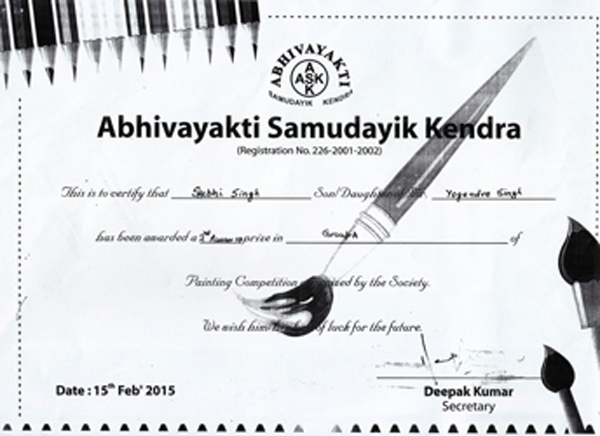 They brought laurels to the branch by bagging 2nd position amongst so many other branches. 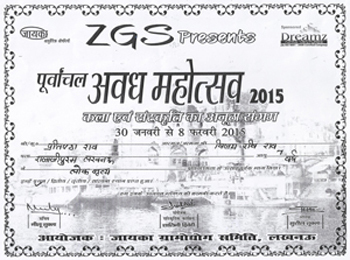 Who participated in the same.Hats off to them ! 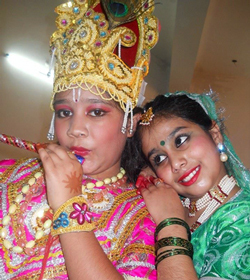 The following students are took part in 'Humen Tableau'. Students were trained for Inter Branch Athletic Meet organized by Quality Assurance & Innovation Department at Chowk Stadium, and they stood out from amongst their competitors by bagging the following prizes. 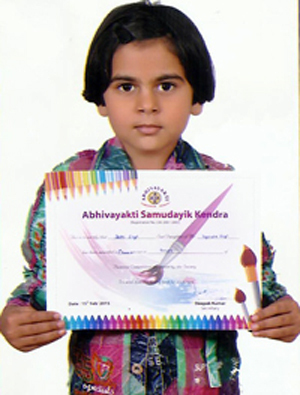 Shubhi Singh of CMS Rajajipuram1 brought laurels to our school by securing 2nd position in the painting competition organized by Abhivayakti Samudayik Kendra on 15th Feb 2015 .We appreciate her for her efforts and victory. 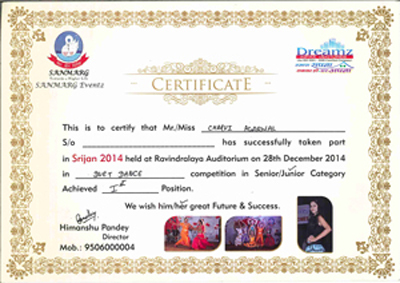 Charvi Agarwal and Isha Bajpai participated in Duet Dance competition in junior Category (SRIJAN 2014) Organised at Ravindralaya Auditorium on 28th December 2014. 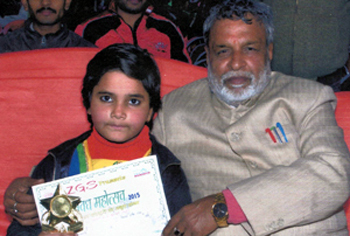 The event was SANMARG EVENTZ.Both the girls achieved I position in Junior Category. 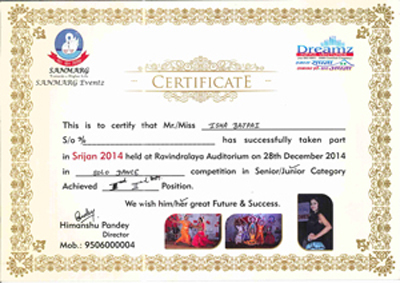 Isha Bajpai also got II position in Solo Dance Competition in the same event. 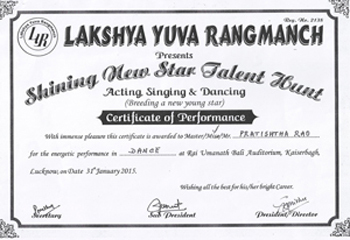 Pratishtha Rao of CMS Rajajipuram1 brought laurels to our school by securing Ist position in the Dance competition organized by purvanchal Awadh Mahotsav on 8th Feb 2015 and awarded the certificate for her energetic performance in Dance at Rai umanath bali auditorium, kaiserbhag, Lucknow on Date 31 January 2015. We appreciate her for her efforts and victory.